Managing a staff of employees – with their diverse personalities, responsibilities, ambitions and pet peeves – can sometimes feel a bit like nailing Jell-O to the wall. And at small companies, where every single employee needs to pull their weight to move the business along, it can feel like nailing Jell-O to a wall and then trying to balance a cat on it. There is a special art to leading a staff. Here, we've put together a dream team of tips, advice, recommendations and best practices from small-business owners who were honored at National Small Business Week, an annual celebration of all small businesses across the U.S. Patients first, and take care of your staff. I found that if we put patients first, they will be always loyal to you and the care you provide them will be a bilateral relationship. Never be afraid to ask for help. Jon and I reached out to the Colorado Springs Small Business Development Center when we were in the very beginning stages of our business. These classes helped us avoid pitfalls that many new businesses experience. Later, we began using SCORE to help with the challenges that accompany rapid growth. I have had a personal business coach for over 6 years, and in January we hired a business coach to help us with strategic planning and to work with our management team. Though not given to me personally, my favorite management advice is from Sam Walton: "There is only one boss. The customer. And they can fire everybody in the company from the chairman on down, simply by spending their money somewhere else." Trust your gut instinct BUT always back your gut decisions with data. Just data decision are no good nor are emotional gut decisions in isolation. 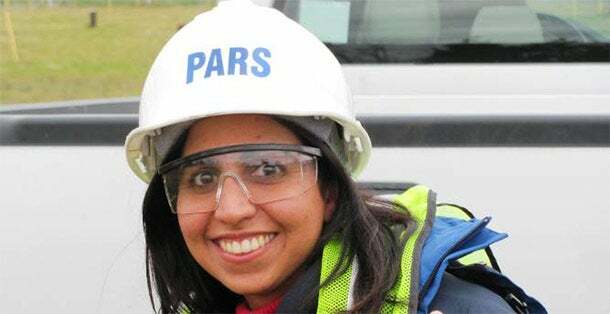 Kiran Gill is the owner and founder of PARS Environmental, Inc. Image credit: PARS Environmental, Inc.
Don’t be afraid of making mistakes but do understand and learn from them. Mistakes are truly necessary for growth. Hire good people, treat them right, empower them. 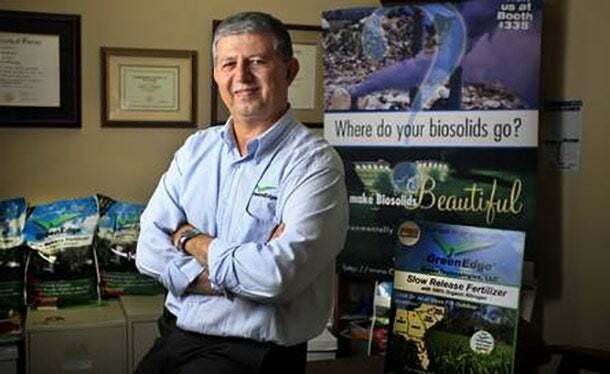 Dr. Amir A. Varshovi, the President of Florida-based GreenTechnologies. Leaders must be close enough to relate to others but far enough ahead to motivate them. Keep looking at where the market and industry are heading, not where it is. 12. Best Bath Systems Inc. Delegate, support and pay attention to results. No one is coming to help. Roll up your sleeves, charge into the swamp with your team and start wrestling the alligators. To empower your staff, and support them when they are right or wrong. We find that by empowering and supporting them, they are able to be the most productive. 15. Custom Aircraft Cabinets, Inc.
As cliché as it sounds, “treat workers like you would want to be treated.” This has served us well in 25 years in the aerospace interiors market. Listen, listen and then act swiftly when making major decisions. 17. Metaphrasis Language & Cultural Solutions, LLC. The best piece of management advice I received was from someone who let go of his entire staff because they were good but not great. He made them all reapply for their job and only hired one back. Because the company was at a different place from when he started he needed greatness. I took that same advice and replaced my staff because we are also at different place from when we start back in 2007. Put in place a capable management team because you, the leader, cannot always do it all yourself. A strong leader hires good people and then gets out of their way in order for the team to be successful. Hire the best people you can find and who are the best cultural fit, then treat them as well as you can. They will treat your customers well in return. 21. Strider Sports International, Inc.
Make sure team members understand the Cause and Mission. If they embrace it, they will be stellar team members. If they don’t, get rid of them sooner than later! The most important advice that I could give is the same advice that was given to me. You must always watch the numbers. Cash flow and income is key to growing and maintaining a business. The "show me the money" movie catchphrase is more than just a phrase. It's the lifeline of your business. The more you have, the more options and opportunities are available to you, so you must always make it a priority to watch the money. 23. Golden Cannoli Shells Co. Inc. Thank your employees everyday, appreciate them and they will always work hard for you. ~ [advice from] my dad. Be happy but never complacent. A key driver of our success has been constant improvement. Each day, we improve some aspect of the business. When you take daily improvement steps, you end up covering a lot of ground over time. Follow your heart. Stand still awhile, you’ll hear what your heart is telling you to do…to speak…to act. You’ll realize that your heart has a voice. It can be pretty loud sometimes. Sometimes it can be a whisper. The voice will lead you to wonderful moments in your life and your business practice. At the end of the day, if you listen to what your heart tells you, you’ll have the comfort of knowing that everything is alright. Treating every employee as if they are a subcontractor. A professional responsible for getting promised tasks done efficiently. And never, ever, keeping any dissatisfaction from the employee until review time. Rather, re-explain your expectations immediately so there are no surprises in their review. 27. Chesapeake Environmental Management, Inc.
Do not get into a situation that jeopardizes your financial independence. When managing people be firm but fair. A well-treated and respected employee is a happy employee. Great ideas are a commodity, great execution is not. Again, so many things over the years: Choose to be great Instead of big. Be passionate about what you do. Be yourself -- it's a heck of a lot easier than trying to be someone else. Don't sweat the small stuff -- it's all small stuff. 32. Lightwell, formerly known as Oxford Consulting Group, Inc.
Make sure you’re not the smartest one in the room. Surround yourself with folks that have ‘lived in the future.’ They aren’t afraid of the growth because they’ve been there.